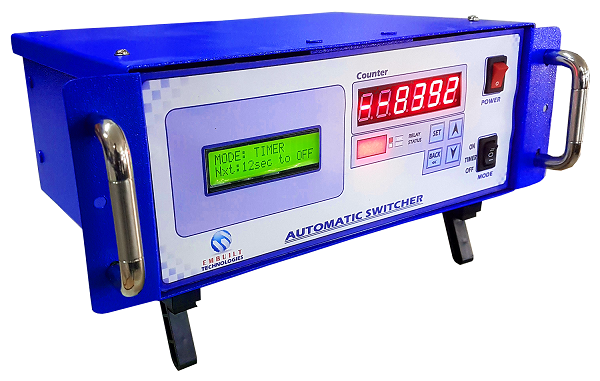 ASC-1 (Automatic Switcher & Counter) is a very useful product for burn-in testing devices. It is mostly used in industries like LED bulb manufacturer, LED driver manufacturer and other similar industries. It automatically switches much time of connected burn-in testing devices and also counts a number of its switching. It is a cheaper, reliable, lightweight product and easy to handle with Load connection. It is operated with manual mode selection for Counter and Switcher. Switching is defined to connect and disconnect the testing load with AC power supply and Counter is defined for the number of switching of connected load under testing. It contains a big LED display for relay ON/OFF count with LED indication for relay status ON/OFF. Its maximum range is 500 volt, 40 Amp. It also provides a user-friendly environment for programmable Count Number and programmable Switching time. 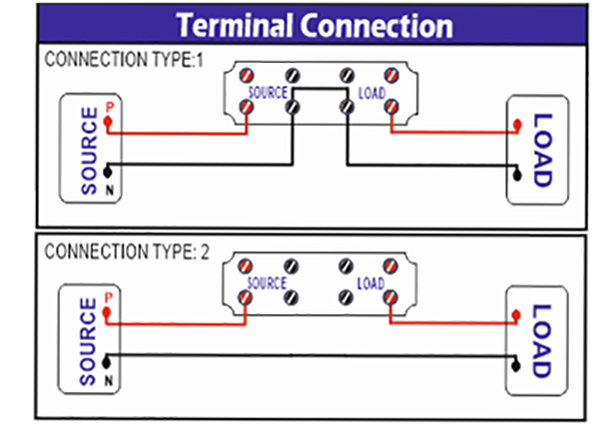 there are two ways on terminal connection. This Video contains a complete description of ASC Automatic Switcher & Counter.